The article describes the first use of the word “geography” and its derivatives with terminological meanings in the history of the Russian literary language. To do this, the author introduces a translation of the chapter “Vvozhdenie into Cosmography” from the mid XVII century Latin Atlas Blaeu into the scientific currency a scientific work, little studied up to date. Keywords: the language of science, XVII century, cosmography, geography, geographer. Identity as a precise correspondence of something to something is used to characterize surrounding reality both in everyday speech and linguistic descriptions. Sentences of identity are of long-term study. The evidence of various means of expression makes the author continue the study of the phenomenon in order to systematize the means used and also to define the syntactic models of binary structure. Keywords: an identity category, identity, an invariance. In journalism euphemisms are the main way to camouflage the facts and manipulate the consciousness when the negative denotation designated by the word evokes positive associations. One of the most numerous thematic groups is the “War” group. Euphemism paired with dysphemism forms opposition “friend-or-foe”. Keywords: political euphemisms, publicistic style, manipulation. The article takes the lead in identifying and describing in detail peculiar features of the chronotope in the framework of modern televised announcement seen as a model genre of television promo discourse. The concept of «overflowing» audience, introduced by Russian TV community, and the emergence of so-called «seamless» television have prompted an alteration of chronotope of announcement. Emphasized chronotope performs a function of informing in the texts of television promo genres (in particular, in the text of television announcement), while the emergence of a sensational, personalized and intriguing chronotope has resulted from an ad-specific intention of the author of the promo text. Keywords: television promo discourse genres, TV announcement, promo text, drawing on the chronotope, emphasized chronotope, «sensational» chronotope, «personalized» chronotope, intriguing chronotope. The article describes particular properties of the category of forgiveness in traditional Russian culture through the analysis of plot, composition and imaging system of folk prose texts. The article concludes that, depending on the axiological properties of the texts, such “forgiveness” can be executed in different ways: as an abolition of punishment and restoration of an everyday well-being, as well as a granted salvation of the soul, purification of the soul from sins, or a good announcement on the Judgment Day. Keywords: traditional culture, concept, sin, forgiveness. In this article within the framework of linguoculturalogical approach we consider semantic characteristics of such units concerned natural landscape code of culture as «Road» in Russian and Turkish linguocultures. The main purpose of the research is to identify and to describe cultural meanings of the above noun in phraseological units. İn addition, we have examined the Russian linguistic material in comparison with Turkish and tried to reveal the basic similarities and differences between two linguocultures. Keywords: semantics, code of culture, idioms, Russian language, Turkish language, linguoculture. 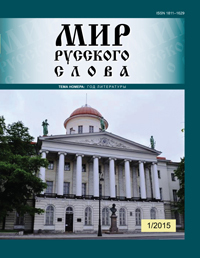 In the article, linguoimagology is postulated as a new linguistic trend which allows to combine in a single study phenomena that belongs to different branches of human culture, in this case the synthesis of science, architecture and religion in the great Russian writer Nikolay V. Gogol’s creative consciousness. He creates vivid and expressive descriptions of the various buildings in which the character of tropes and figures used directly relate to the ease or pretentiousness of the architectural style which is due to the religion, way of life, people’s worldview in the creative consciousness of the author. Keywords: linguoimagology, creative consciousness, architecture, religion, science, Nikolay V. Gogol. Lexical and semantic features of the representation of the concept “Russia” in Mikhail Yu. Lermontov’s poetry are considered. Based on the analysis of writer’s poetic texts, attributive field of investigated word is reconstructed, its individual features are described and meaning shades of its significance are revealed. Keywords: concept, Russia, representation, substantial component. The article is devoted to the use of games in introductory phonetic course of Russian as a foreign language. Target audience is Chinese adults. The article stresses the need for active use of gaming technology in the formation of phonetic skills. The features of the phonetic game and ways to improve students’ motivation to learn Russian pronunciation are discussed. According to the author, the approach promotes the development and maintenance of interest in the Russian language, as well as the efficiency of formation of phonetic skills. Keywords: Russian as a foreign language, Chinese students, introductory phonetic course, phonetic skills, motivation of adult students, phonetic game. The article focuses on the inability of foreign students on initial stage of Russian as a foreign language training to use the lexicographical sources skillfully and also the need to improve educational lexicographical editions. In order to solve the problems the author turns to a few developed in educational lexicography genre — training manual of lexicographical (dictionary) type. The author explains the specifics of the manual and formulates the basic principles of its modeling as applied to the elementary level teaching. Keywords: training manual lexicographical (dictionary) type, dictionary section, educational and practical section, Russian as a foreign language, elementary level of education. The article is devoted of communicative competence of foreign students. The work presents a special training material, allowing foreign students to meet the communication needs when dealing in situation «In the sport club». The aim of the training material is to remove the language barrier and to determine the possible verbal behavior in real situations. Keywords: communicative competence, scope of communication, speech situation, communicative situation, dialogic speech. 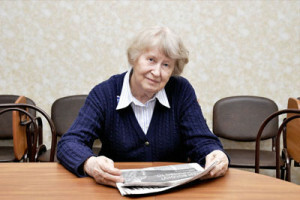 The article refers to the interpretation in the process of teaching Russian as a foreign language of contemporary Russian literature with varying degrees of sophistication and structure of various stylistic strategies, as well as the example of the interpretation of the fragments of the novel by Mikhail Shishkin “Maidenhair”. It proposes an interpretation algorithm of these fragments which allows to provide a key to the understanding of the whole literary work. The analysis is based on the description of plot-metaphor of the text and its key lexical and thematic fields. Keywords: literary text, principles of analysis in the Russian as a foreign language classes, lexical and thematic fields, nomination of characters. The article refers to analysis of the results of the survey, regarding to a new motivations due to choice Russian Language as a first (or second) Foreign Language. Senior school and higher school students learning Russian outside of Russian speaking world were a subject to research. The statistical data processed and are presented in the tables. Keywords: motivation, Russian as a Foreign Language, European countries, survey. The article includes comparative analysis of Russian and Vietnamese higher education systems based on the number of selected parameters. The main aim of analysis is finding out national features of the higher education system in modern Vietnam in order to create the nationally oriented model of study for Vietnamese students in Russian universities. Keywords: higher education system, Vietnamese students.